US markets – soybeans ended higher as hopes for a new US/China, US weather concerns helps prices. Corn higher as per soybeans. Wheat higher despite poor export numbers, as talk of localised flooding could reduce SRW and spring wheat acres. CCTC report showed a/o w/e 19th March, managed money had slightly extended their short CBOT wheat position, reported at 73506 contracts, also extending their short corn position, reported at 261326 contracts, but had cut their soybean short, now seen at 63992 contracts. US market speculators were not spooked out of their record bearish bets last week in Chicago-traded corn, even as rising flood waters in the US Midwest added to market concerns that farmers would delay or reduce corn plantings. US exporters sold 300,000t of corn to China, its largest US corn purchase in 5 ½ years, and a rare sale in the middle of the US-China trade war, with traders stating that the deal was for the 20108-19 marketing season. US Mid-west weather forecast is fairly quiet through the week with good rains returning towards, and through the weekend, before again turning quiet the first half of next week. Temperatures will be running below average over the next 10 days. US Plains weather forecast will be fairly quiet, with rains and some accumulating snow for the northern plains by Friday. Things then turn quiet the first half of next week, with temperatures running average to below average across the plains, before cooling to below average. US Delta will see rains returning this weekend and lingering into early next week, with the southeast seeing some early week showers turning drier through the week, with the return of rains seen for the coming weekend. Brazilian weather forecast will be mostly dry in the south through the week with periodic rainfall in the north. Argentine weather forecast continues to see a mostly dry pattern over the next 10 days. 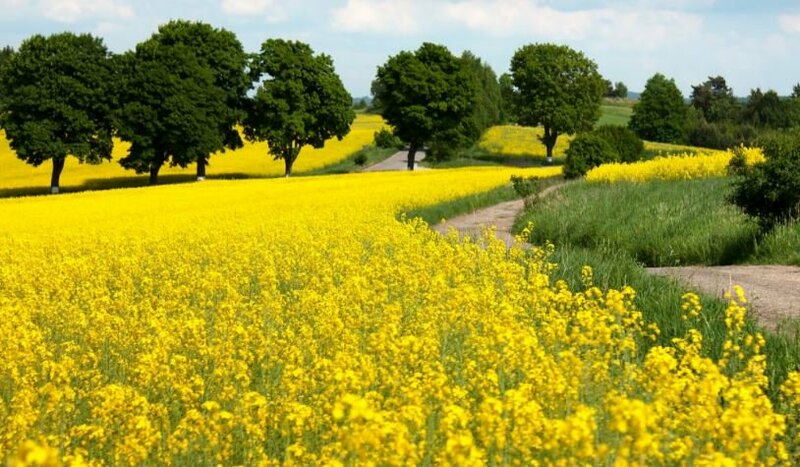 Chinese importers have stopped buying Canadian canola and are not expected to resume anytime soon, as tensions between Ottawa and Beijing reach new highs. Russia’s March exports of wheat, barley and maize are estimated at 2.3mln t, down from 2.7mln t in February, the SovEcon consultancy reported. Ukraine’s grain exports have reached 31.5mln t so far this season, up from 25.9mln t in the same period last season. This season’s exports include 17.7mln t of maize, 11mln t of wheat and 2.8mln t of barley.